When it comes to experience design firms, there really is no company more experienced than Disk-in Pro. Their company is centered on content design and developing new platforms for media, so their client can find new ways to deliver their content. They approached us and one of our collaborators, for branding and design services. Disk-in Pro’s philosophy, since their inception in 1990, is that content should be an experience. It shouldn’t just be words on a page, it should engage and even engulf the reader. Their clients are looking for new and unique ways to communicate with their public, and with Disk-in Pro, they create showcases, interactive exhibits, and attractions for public spaces, museums, exhibitions, visitor centers, lounge areas, entry ways, hotels, tourist attractions, and more. They operate under the correct assumption that there is more than one way to communicate with people, and that finding a new and interesting way to communicate gets better results for their clients. 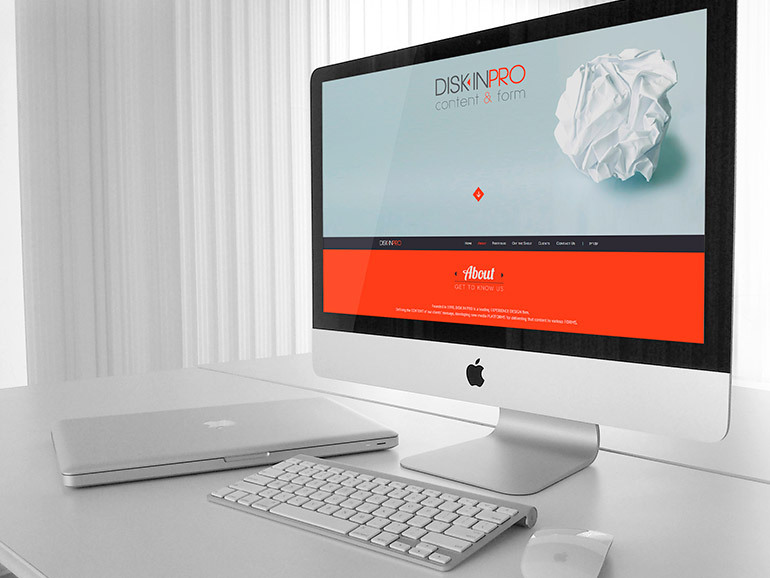 We partnered with 361°, a branding company, to create a brand new website for Disk-in Pro. We knew that they needed something interactive and clean that would communicate as well as their own creations do. 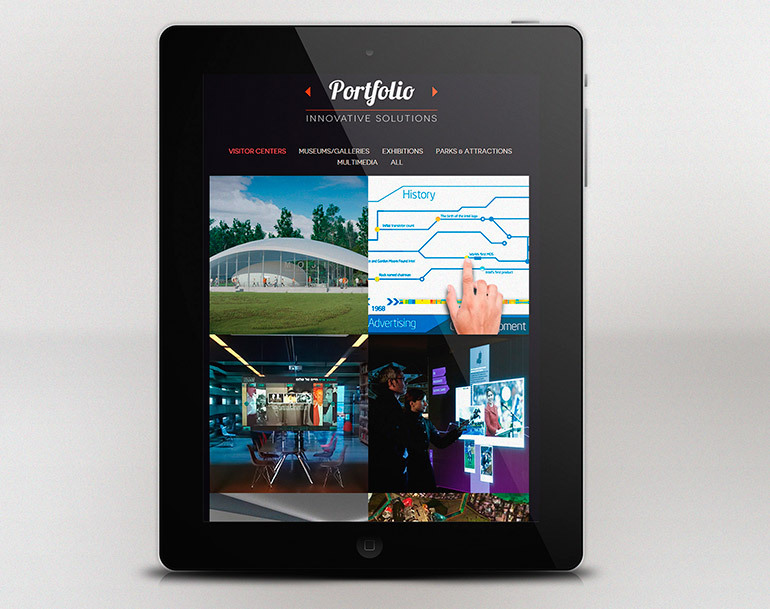 That is why we chose a fast, smooth one-pager website complete with responsive design for multi-device compatibility. SEO and user-friendly, this website met both their design and functionality needs. Using a smooth parallax effect, clean code, and expert design, our collaboration was able to quickly create a beautiful new website for this company. Already up and running, this website is designed to increase conversion rate and make marketing simple and easy. For a long-standing company like Disk-in Pro, a unique, interactive website helps to sell their own interactive media services.